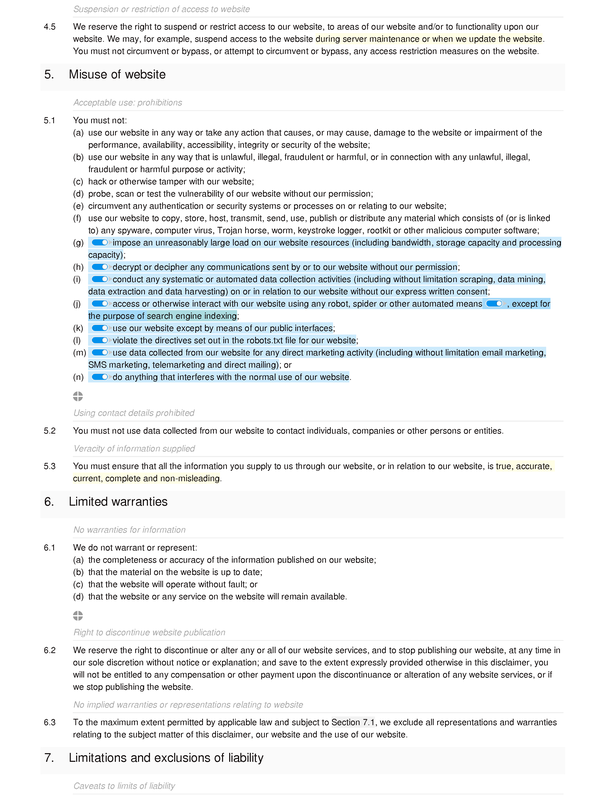 This website disclaimer does three different jobs for a website operator: it disclaims certain liabilities that might arise out of the use of the website; it sets out the basis upon which a website may be used; and it prompts certain disclosures that are or may be required of website operators by English/EU law. The document is a shortened and simplified version of our standard website terms and conditions. 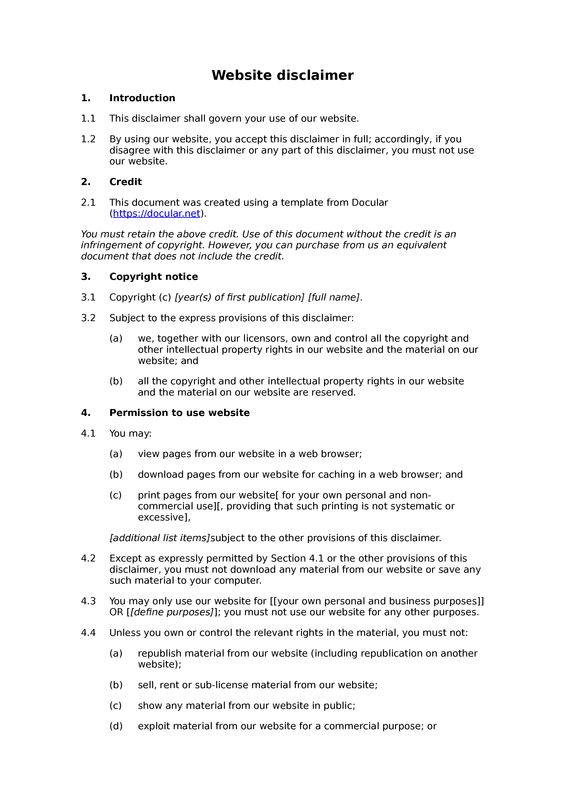 If the website in respect of which the document will be used includes any ecommerce features, user-generated content features or other service-like features, you should consider one of our more detailed terms and conditions documents, rather than this disclaimer.